I have a few favorites in the Shiseido product line, and I’ve been aware of this major Japan-based brand since my twenties, but I tend to forget just how long Shiseido has been around. This year marks Shiseido’s 140th anniversary. In honor of the occasion, the brand looks back at its history (enjoy this illustrated timeline!) 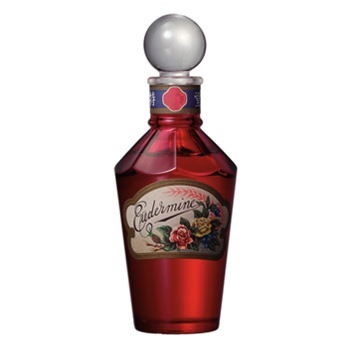 and has issued a limited edition of Eudermine Revitalizing Essence, one of its oldest (and best-selling) products, in a facsimile of its original 1897 bottle. 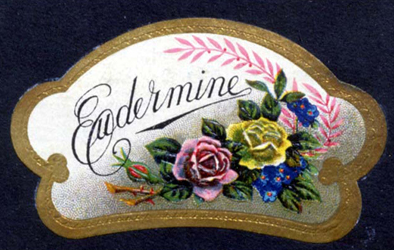 Eudermine is a “softening lotion” whose name brings together the Greek roots for “good” (“eu”) and “skin” (“derm”). 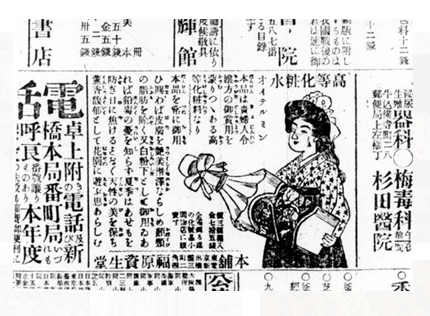 Its red color and Western-style packaging were unusual in the turn-of-the-century Japanese market, and the product was such a success that it has been kept in manufacture (with frequent updates to its formula) through the present day. I don’t really need this product—I’m guessing that it wouldn’t even agree with my skin—but I did love stopping to look at the bottle and label when I recently passed a Shiseido counter in a department store. I’m hoping that Shiseido will re-issue other products and packaging designs in years to come, just to remind us of the brand’s “heritage.” (That term is really overused these days, but Shiseido has actually earned it). After enjoying the late-Victorian appearance of the Eudermine’s original floral label and faceted bottle, I’m a bit sorry to come back to the present design, even if it was created by the visionary Serge Lutens in 1997. I’m just not a minimalist! You can view a line-up of Eudermine through the decades here. 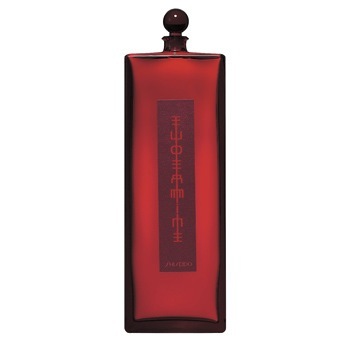 Eudermine Revitalizing Essence Limited Edition is available at Shiseido counters and the Shiseido website. Images: all courtesy of the Shiseido 140th anniversary website. What a nice piece, I really appreciated the timeline and visuals of the evolution of the packaging. The 1954 and 1968 bottles, though not that elegant, are particularly ‘of their time’. I can’t believe there was an exhibition on Shiseido at the Grey Art Gallery and I missed it! The company does seem to have maintained an interesting “archive” of its products and packaging and promotional materials… I like the 1960s Eudermine bottle, too! Shiseido fanatic here, although I’ve never used this product… But the limited edition is covetable for sure! Oh, what are *your* favorite Shiseido products?! I like the Benefiance cleansing cream, and the cream eyeshadows, and the Shimmer Rouge lipsticks. I swear by their powdery foundation – my favorite foundation of all time.